Travelling wouldn't be a hassle anymore, now that we have ways to make things easier. For instance, we worried that we will have a long flight and we need to make sure we have enough battery in our devices like our cell phones, or devices to keep you occupied during the travel as well as to communicate with our loved ones. Not to worry, as there is a solution for that now. 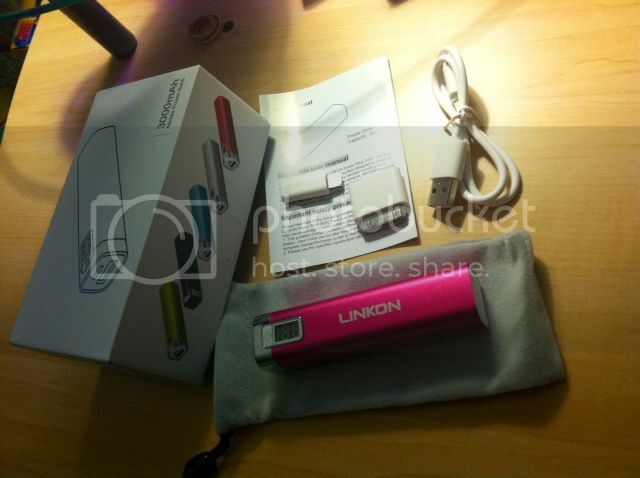 I have the opportunity to try LINKON PORTABLE CHARGER product which would allow me to charge my cell phone or devices easier whenever I am away from home. I do play with my phone a lot whenever I am waiting or bored, which makes my phone drain faster, and I would say almost 90% who have smartphone does the same thing as I do. Since it takes too much energy I decided not to play with any of my download games, nor surf too much as I have no way of recharging when it use up. 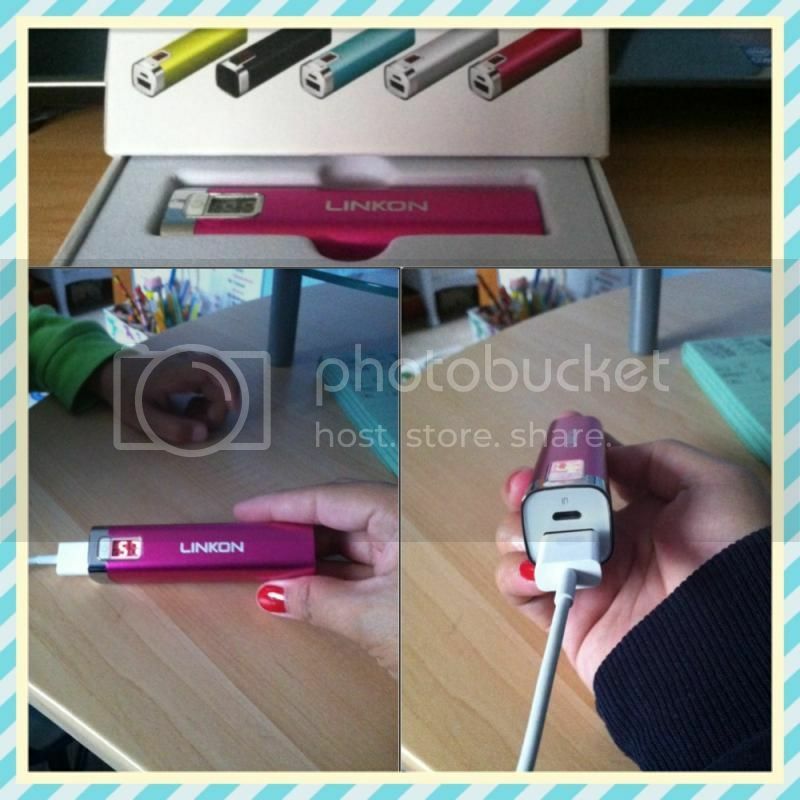 Now, things will never be the same as the handy Linkon Power Bank is here to the rescue. A 3000mAh Mobile power bank charger came in the mail through USPS for me to try, which can be purchased through Amazon for only $24.95, comes with different color of your choice. The product comes with a small carry pouch where you can put the 3000mah built-in Lithium portable Charger in as well as the USB Charging Cable with Micro USB. Also has an iPhone 4 Tip and iPhone 5 Tip information for an easier use. The manual is very informative which helps you and instruct many things you need to learn about the portable charger and how to protect the product. I also love the packaging as everything inside is intact and secure. 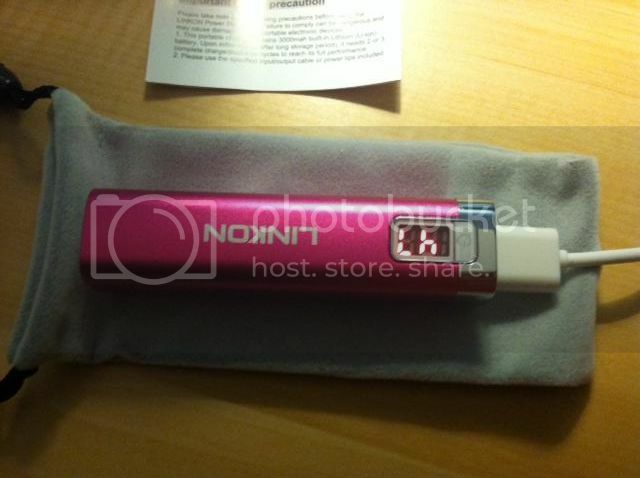 A great information to learn about the portable charger is that it's compatible with most devices with a USB charging output. That's one great feature I am seeking to in order to use the charger in most of my devices. You'll notice that whenever the battery is low the numbers blink so it's time to charge the portable charger. Caution for us is to make sure that the charging device must not exceed DC 5V. the power percentage will blink whenever the charger is almost low.. I would say, the power bank is indeed helpful for a long road trip, flights or just a backup battery charger for when you need some extra juice. I also like the offer they have about a 14 day money back guaranteed no questions asked if you are not happy with our product plus 12 months warranty for total peace of mind. And if you have inquiries, the best way to get help is to be able to speak to a good customer service at any time. I would definitely recommend this to a family or friends who is looking for a handy, great power bank. Also, if you wish to give someone a good holiday gift this Christmas, include this in your list as the recipient would truly love the gift you got for them. My husband wants one of these things. He ask me to find something that I could review lol. Thanks for sharing. You are very welcome, indeed very helpful esp when you travel often. oh no!!! I thought at first when I saw the product they should be heavy..but not this one. I was totally impress very light, lighter than your smartphone and I kid you not you won't regret that you purchase the product. I love that you picked the pink color Mommy N. I would love to try this. We only have one charger, must be nice to have extra charger. Looks so sleek and handy, and I like the digital feature which shows the percentage. A must-have for techies! you'll be happy with this product..